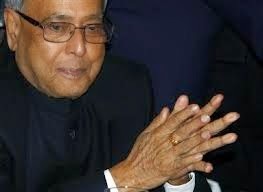 The President of India, Shri Pranab Mukherjee has extended his greetings and felicitations to the King and people of the Hashemite Kingdom of Jordan on the eve of their Independence Day (May 25, 2015). In his message to His Majesty King Abdullah II, the King of the Hashemite Kingdom of Jordan, the President has said, “On behalf of the Government, the people of India and on my own behalf, I extend my warm greetings and felicitations to you and to the friendly people of Jordan on the occasion of the Independence Day of the Hashemite Kingdom of Jordan. India and Jordan have traditionally enjoyed cordial and friendly relations, which have expanded in all fields. I am confident that the bonds of friendship between our peoples will be further strengthened to our mutual benefit in the years to come. Please accept, Your Majesty, my personal good wishes for your health and well-being, as well as for the continued progress and prosperity of the friendly people of Jordan”. The President of India, Shri Pranab Mukherjee has extended his greetings and felicitations to the Government and people of the Argentine Republic on the eve of their National Day (May 25, 2015). In his message to Her Excellency Dr. Cristina Fernandez de Kirchner, the President of the Argentine Republic, the President has said, “On behalf of the Government, the people of India and on my own behalf, it gives me great pleasure to convey to you warm greetings and felicitations on the occasion of the National Day of Argentina. India and Argentina enjoy warm and friendly relations – which in recent years have strengthened and diversified in a number of areas of common interest. I am confident that our relations will assume greater depth and content in the coming years. I avail of this opportunity to extend to you my best wishes for your good health and well-being and the progress and prosperity of the people of Argentina”.